BACKTOFRANKBLACK.COM: Midnight of the Century T-shirt available in the Back to Frank Black store! 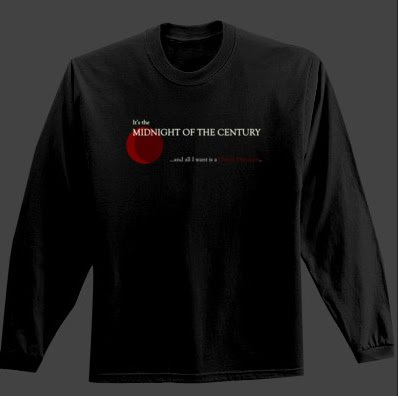 Midnight of the Century T-shirt available in the Back to Frank Black store! The Back To Frank Black merchandise shop now has a new garment for the winter season! This is the exclusive "Midnight of the Century" inspired top! $31.80 - all money from our shop goes to funding this campaign. This shirt will be great for Christmas/New Year - and all year round, really! 0 Responses to "Midnight of the Century T-shirt available in the Back to Frank Black store!"